There are three types of learning styles: visual, auditory and kinesthetic. If you’re not sure what type of learner you are, take this quiz to find out. Today’s post will focus on the best study tools for visual learners. But don’t worry; we also have tips for auditory learners and the kinesthetic folks. And, if you’d like more strategies for visual learners, check out this podcast. Does this scenario sound familiar? Your friend is asking for your opinion on something she’s written, and you find yourself stopping her mid-sentence, reaching for the sheet of paper, and saying, “I need to see the sentence to understand.” If this is a common occurrence in your life, you are likely a visual learner. This type of learning style comprehends information best by seeing things. Being a visual learner is helpful in law school given the amount of reading and outlining that’s expected. Let’s look at five ways to study that compliment your strength as a visual learner. As a visual learner, you likely will not remember everything the professor says from the podium. That’s why it is critical to take notes on every lecture that’s given. Write down key phrases, terms, case law, and anything else the instructor emphasizes. Be sure you also write down what is written on the board. Once class has ended, re-read and re-write your notes. Because you’re a visual learner, that process of reading and seeing the words will help commit the information to memory. You may want to handwrite your notes, as well, for maximum visual impact. One of the best ways to prep for law school exams is to outline your material. The sole purpose of an outline is to organize the information so it is clear to you how the law fits together. The process of outlining is especially useful for those who learn best through sight because thinking through the material – and writing it in outline form – will help you create a visual pattern that’s easy for you to understand and recall clearly for exams. Again, handwriting might be helpful for your outline, as you can use colors and visual elements to help you remember the material. Similar to outlining, putting your notes in visual annotations will help your mind comprehend the information and recognize patterns easily. Consider drawing symbols, and creating flowcharts and graphs when you re-write your notes and outline cases. You may also consider diagraming sentences with visual images. 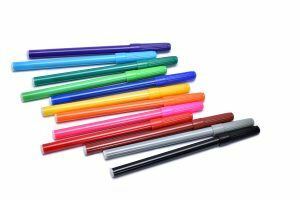 Multi-colored highlighters are a visual learner’s best friend because you are likely to remember what you read based on the colors on the paper. Assign each color a value that you’ll need to recall and then use the appropriate colors as you read your case law, class materials and notes. For example, highlight the issue in yellow; the rule in green, etc. This same method can be used with symbols if you don’t want to use multi-colored highlighters. For example, use a triangle for the issue; square for the rule, and so fourth. Visual learners study best in a quiet environment. Make sure you find a place you can comfortably study. This may be in a library or your home office that’s free from distractions. Keep in mind that study groups may not be the best environments for visual learners. And since visual learners often need to think the materials through before understanding, give yourself enough time to process the material. If you’re a visual learner, try a few of the study tips above to see which works best for you. Want more? Sign up for our free mailing list today. And check out this podcast with lots more tips for visual learners in law school! Do You Need to Write Out Practice Exams?